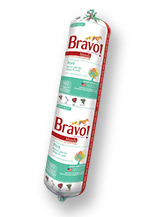 Introduce your cat to Bravo Blends. 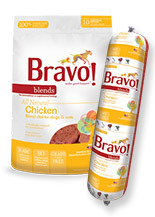 Bravo Blends offer pet parents the convenience of a carefully selected blend of pure, premium grade raw poultry, meat, organs, ground bones and garden vegetables. 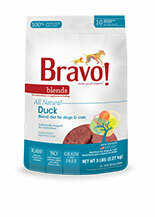 Please note that our four-part limited ingredient formulas are for intermittent or supplemental feeding only. 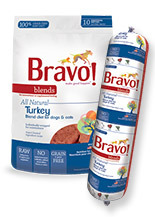 You should consider adding your choice of supplements for a complete and balanced feline diet. Why our Blends raw diet is so good for cats.